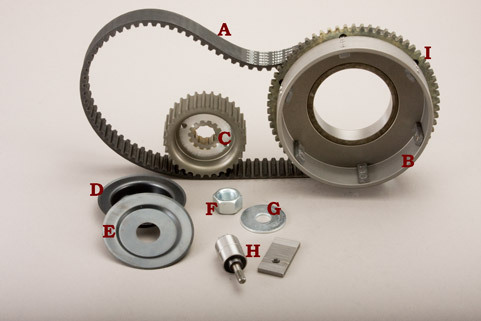 47-31 SE-RB | Belt Drives, LTD.
Our 11mm belt drives have been around for decades and still belt drive enthusiasts believe the 11mm to be the best belt drive for all around ride ability and dependability. This drive lets you adapt your stock clutch hub and plates directly into our basket. This kit fits 1979 – E1984 Shovelhead® rear belt drive electric start models or upgrade your clutch hub, plates and pressure plate with our CC-100-S Competitor Clutch.